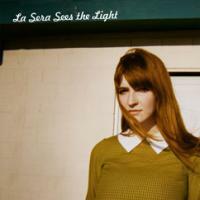 La Sera’s Sees the Light is a pretty, concise record of retro pop music that sits in that familiar girl-group revival genre, one on its way to becoming overstuffed and lifeless, like a mod-clad mannequin with bangs. Though singer-songwriter-taxidermist Katy Goodman has improved upon her debut with stronger melodies and production, Sees the Light is a disappointment because of how willfully unoriginal and phony it is, all early ’60s Shelley Fabares beach-blanket laments and sickly sentiments about giving, taking, and breaking hearts. Katy Goodman of La Sera is perhaps better known for her bass playing and harmonizing with Cassie Ramone in Vivian Girls, a band that tempers girl-group tropes with a raised eyebrow and a punk-grunge twist. 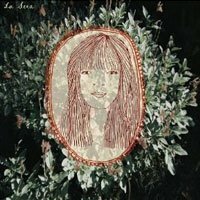 But La Sera’s sound is more closely akin to that of She & Him, from Goodman’s breathy vocal similarity to Zooey Deschanel to her cheerfully innocent lyrical perspective. While both bands share the appeal of a golden-voiced singer and catchy, familiar hooks, they also share the same central problem: a lack of the kind of humanity that vaults their music from dedicated homage to something engaging on its own terms. What we get instead is cutesy-retro cliché with a straight face, music that, as Morrissey famously complained, says nothing to me about my life. The first four or so tracks of Sees the Light hold their own in terms of melody and momentum; Goodman smartly begins with “Love That’s Gone,” the record’s best and most measured number, slower and sultrier than anything that succeeds it. “I Can’t Keep You in my Mind” and “Break My Heart” likewise pair Goodman’s voice with complimentary, dazzling melodies, and, if one were to stop and take stock here, it’d be a lot easier to forgive a whole record of consistent lyrical blandness (sample: “Broken lovers tend to go their ways / Haunting ghosts that I cannot evade / ’Til I turn grey”) in the wake of such musical spark. Unfortunately, Sees the Light devolves from there into full-on, committed homogeneity, songs blending into each other with little to set them apart. “It’s Over Now” is a particular drag, a molasses-slow chorus about pain and blame shrugged off with some chipper do-do-dos. Care of its calypso catchiness, “Real Boy” is the only bright spot on the latter half of the album, but it’s also, irritatingly, the most inane, cribbing its hook note-for-note from “Maggie May” (“I’ve got something to say to you”) with Goodman sleep-singing such lines as “I’ve got something to give to you—and that’s my heart.” Oh, aha. To make one final comparison, Sees the Light reminds me a bit of Weezer’s “Green Album” (2001) in that it’s a compact run of on-point pop that’s been sealed in some kind of vacuum, kept far away from real human emotion. The difference is that the Green Album had an undercurrent of weirdness and desperation, particularly for fans with the slightest bit of knowledge about Rivers Cuomo and his mysterious ways. But who is this Katy Goodman person? What’s on her mind; what is she capable of? Sees the Light doesn’t seem to want to elucidate…anything. It’s a record like a costume, a “‘60s chanteuse” set purchased from a local emporium and worn to a Mad Men cocktail party. It’s a good costume, perhaps, flattering and accurate enough, eye-catching in the right ways, but it seems to have no idea about or grasp of the original messages and intentions behind all the aesthetic. And it doesn’t want to come up with any of its own. 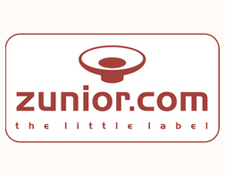 It’s an approximation, a vague notion of something only loosely connected to the music with which it’s obsessed.